I made these in July (July!) for my friend Holly's birthday - I swear I've already posted them, but I can't find it anywhere - but I'm still not convinced. This post must be here somewhere. But, alas, I'm doing it now, perhaps again. Dinner napkins! I love cloth napkins, period. I rarely use paper towels, ever. And I've already confessed I also do laundry embarrassingly little. So many cloth napkins are necessary. They are simple to make and this way you can have the pattern you want, size you want and make as many as you want. I also think it's a great little project for a gift. Full tutorial after the jump. Cotton fabric, amount depends on quantity you want to make. 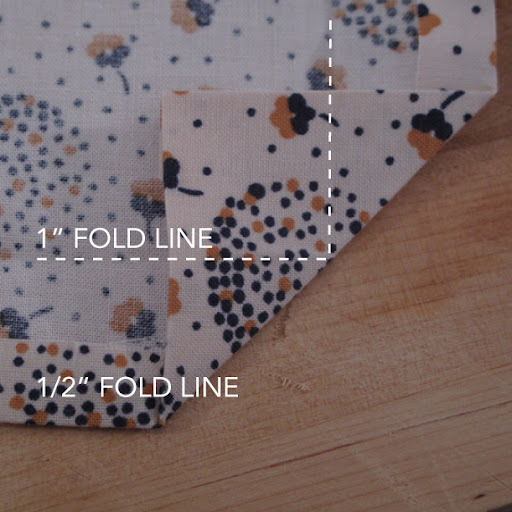 You'll need an extra 3" for each napkin you want to make (ie, if you want a 20"x20" napkin, you should cut a 23"x23" piece of fabric). First, fold in 1/2" around each side and press. Next, fold in 1" and press (a total of 1.5"). Unfold the last 1" fold you made. 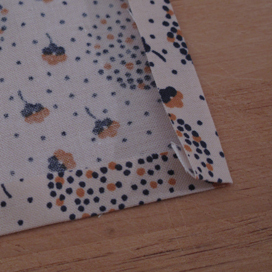 Bring in the corners of the fabric so that your creases align. 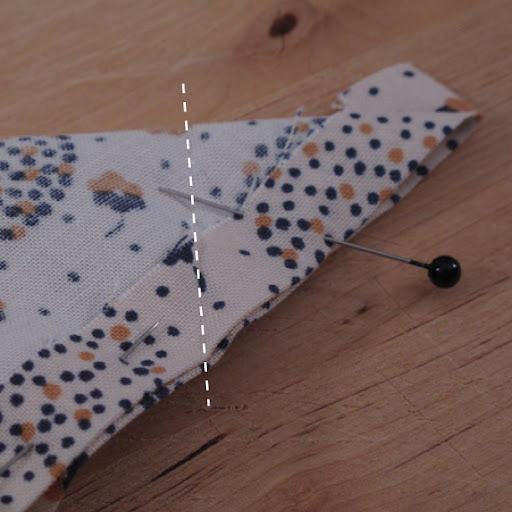 Your 1" fold crease on the wrong side of the fabric should align with the same fold crease on the right side of the fabric. Press. Now unfold the press you just made. 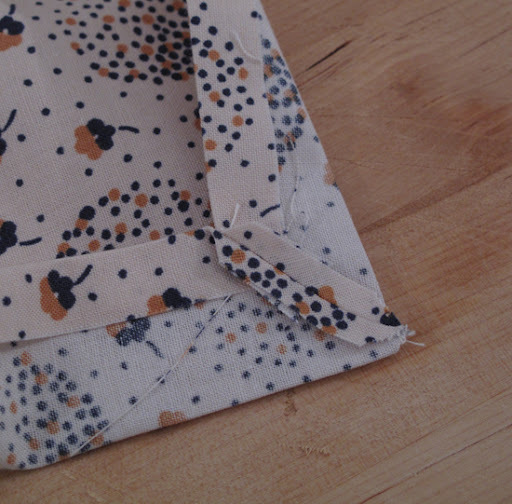 With the fabric right sides together, fold the napkin at the diagnal so that your corner is folded in half. You'll see the crease you made in the previous step (the white line in the photo above). 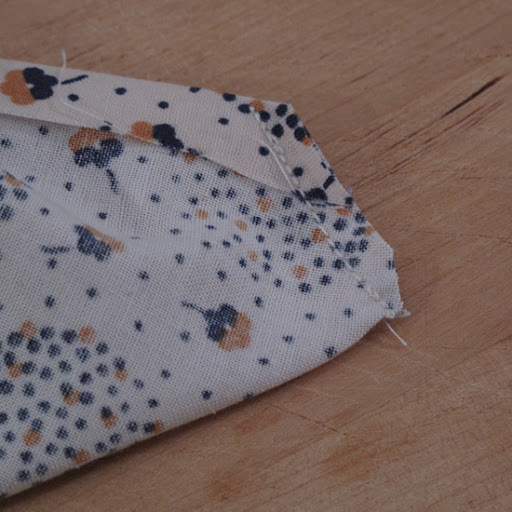 Pin near this and stitch along that crease. 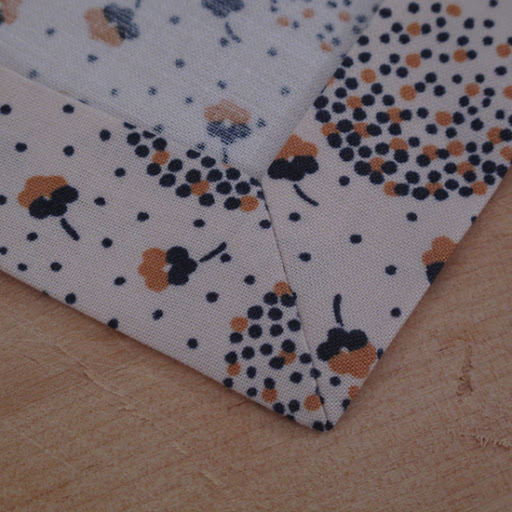 With this border inside out, press open the seam you just trimmed. 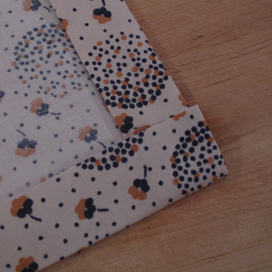 Flip the border right-side-out and press along the guide of your 1" fold line. 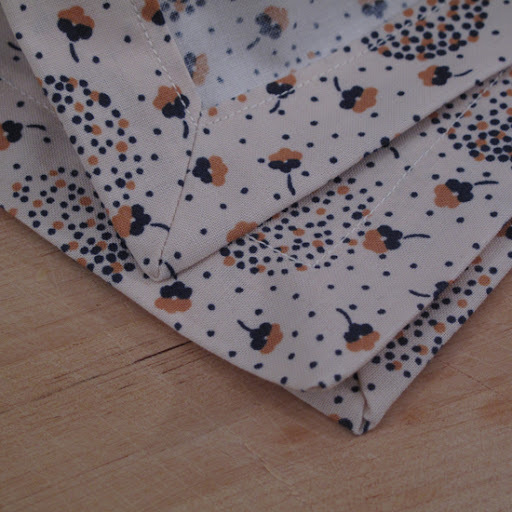 Pin in place and stitch closely along the inside fold edge and you're done! I also made a couple of matching coasters. The final dimension for the coaster is 4"x4" so I started with a 7"x7" square. 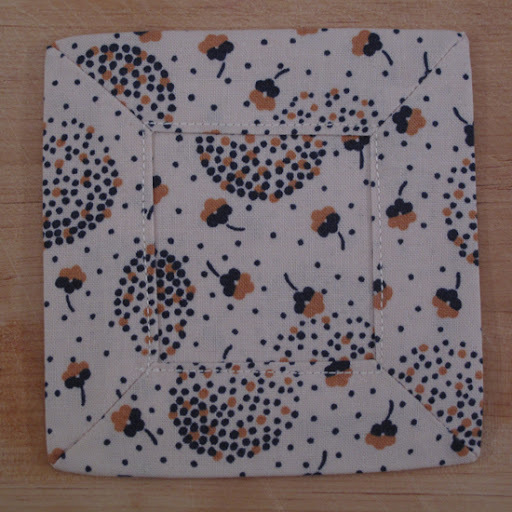 And since they are so small and will be absorbing liquid, before I stitched down the border I slipped in a square of fabric (about 3.75"x3.75") so that both sides of the coaster have right-side facing fabric and you get an extra layer to soak up condensation. I love this mitered edge detail and it would be great on table runners and table cloths as well. What I wouldn't give to have a bolt of checked linen fabric arrive at my door, even at the bottom of my building, I'd happily lug it up the five flights and sew napkins till I passed out. That's just the kind of exciting girl I am. I was following you word for word and then I got suddenly (horribly) confused on how to make that beautifully mitered edge. Love, love, love this. Am a bit of a napkin junkie myself, but like your method better than my own. I did this! It looks great! What clever trick. Just made these, easiest mitered corner ever, perfect every time. Thank you for the tutorial.